En esta serie sobre Afganistán Elbay Alibayov analiza un país marcado por las heridas de un conflicto que dura ya décadas, un país que se mueve entre la tradición y la modernidad, con unos pueblos orgullosos de sus instituciones antiguas, la costumbre y las tradiciones tribales que muestran una vitalidad asombrosa, de su cultura milenaria, al tiempo que se plantean la incorporación de instituciones modernas que carecen de la madurez necesaria para transformar la sociedad. Se trata de un país heterogéneo desde el punto de vista étnico y lingüístico, mayoritariamente de confesión sunita, forjando unas comunidades que funcionan como potentes entidades de protección de los individuos. Fue el escenario de la derrota del ejército soviético, una lucha en la que se gestó el nacimiento de Al-qaeda a finales de los años 1980. Un país, en definitiva, que debemos conocer para entender el Gran Oriente Medio. The recent developments in Afghanistan indicate that the conflict there may have entered a new phase, which has a potential of setting ground for gradually ending the violence and establishing a lasting peace. A series of events at first glance look rather random and business-as-usual, but they send messages that taken together imply that something new is in making at the background beyond the events. To appreciate the significance of these developments, one has to place them into a right analytical framework where local contexts (structures, institutions) and political actors contesting the distribution of power continuously interact and keep interpreting these interactions and the opportunities they offer at any critical juncture in time. At the end of the day, whatever large-scale and intensive, this is not the external factor that will decide the final outcome of the Afghan war and the destiny of the Afghan state—but the local political actors. This article is an attempt to reflect on the political conflict in Afghanistan in the context of an enduring rivalry between modernisation and traditionalism, which is itself a manifestation of a search (and shaping and reshaping) of national identity for a country as culturally diverse as Afghanistan. The topic is not new, but it has not been explored at the interface of a long-lasting process and momentous opportunities opening up at some crucial points. These moments are impossible to foresee, let alone to engineer. But it is possible (and imperative, for political agents) to be ready to take advantage as soon as they avail themselves. I put an effort to keep it concise (hope you would appreciate that ;-). The paper consists of four parts. 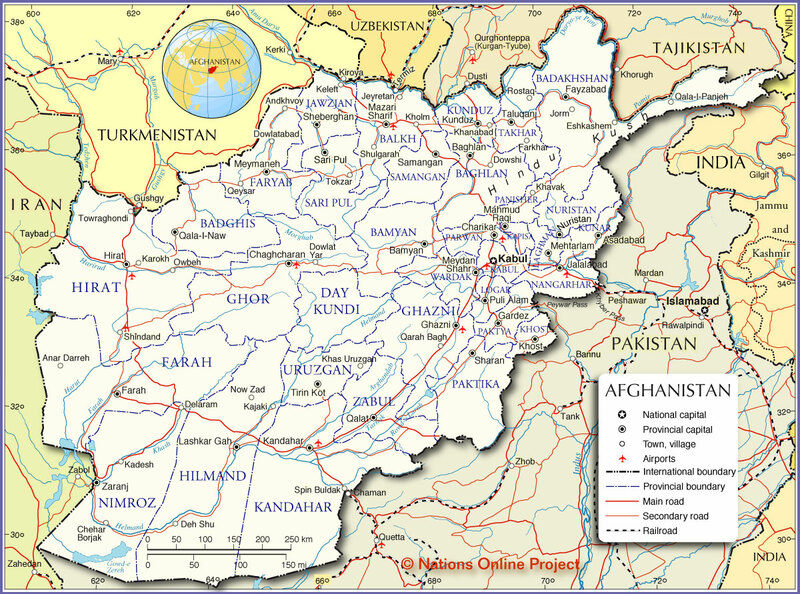 In the first post I will give an overview of current narratives about Afghanistan, resulting models, and their flaws. In the second part I will position the conflict in the context of enduring rivalry between modernisation and traditionalism in Afghanistan. The third part will look at coincidence of the current, most recent events and how they are interpreted by the agents as offering them opportunities for further action. And in the final part I will look beyond the events, to make some conclusions and outline the possible directions to explore. There are scholarly works by historians and anthropologists written mostly in the past century, offering valuable insights into the Afghan history and culture (among them my favourite Afghanistan by Louis Dupree). There are also various narratives created over time (especially in post-2001 era), about Afghanistan’s institutions of power and statehood tradition, political actors, their interests, and the drivers of lasting wars. The difference between the two is that the first group was written by people who based their studies on the primary sources collected through the field work in-country and with an intention to learn (and if possible, to understand) the culture of people inhabiting this ancient land; while the latter, to the contrast, were produced mostly by people who intended to explain (and do it authoritatively) all those complex matters of a distant culture and offering concepts backed by the narratives often-time built upon incomplete, or unconfirmed secondary and tertiary sources. The second group of works and concepts was and still is driven by the day’s practical demands, as they have been produced to inform action by international actors (quite heavily) involved in Afghanistan. As such, they simplify and frame the reality to offer (if not impose) a logical model that makes sense of the otherwise random sequence of events and seemingly unrelated to each other, at times interrupted processes—with an ultimate aim of defining effective solutions to existing problems. And this is where the risk of narrative fallacy (to borrow from Nassim Taleb) is hidden and where theories turn into myths. There are many myths created about Afghanistan in the last decades with various degree of uptake by policymakers, but three of them are most persistent (interestingly enough, they have been accepted fully or in considerable part by various foreign actors over time, in spite of difference in their ideological stands and interests). Central among them is the myth claiming that there has never been an Afghan state, only a mass of continuously and fiercely warring tribesmen who do not recognize any form of central power or unification. It rightly notes that in terms of loyalty for Afghans of all groups and subgroups first comes their kin and then clan or tribe, but makes a wrong conclusion that they lack (if have at all) any allegiance to the state. As all across north of Africa and west, central and south Asia tribes have historically played significant role both socially and politically. This centuries-long tradition sits deep in bone of anyone having origins from these regions; however it does not (and has not) exclude the possibility of having a functional state, whether strong or less effective, centralised or not. 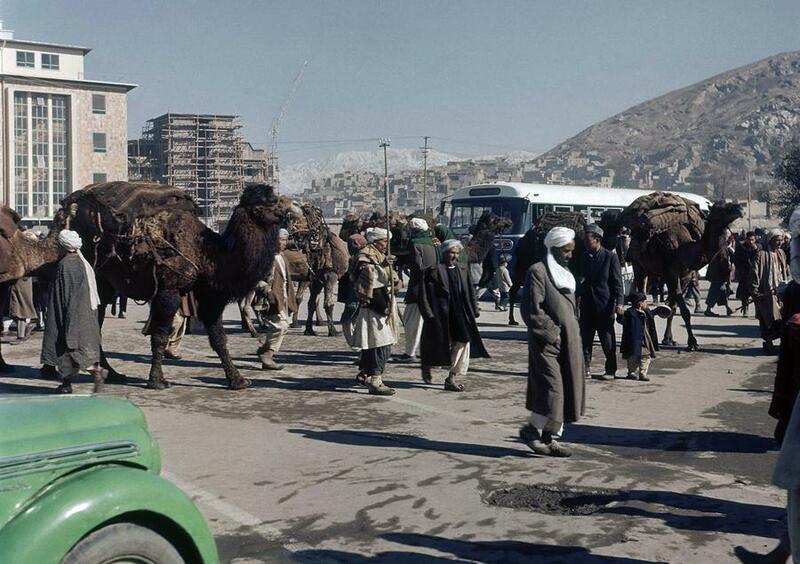 Another myth goes on to say that there had been a somewhat state in Afghanistan but it was annihilated in the wars of the 1980s-90s, and the attempts to rebuild it won’t work as the balance of power has changed from the capital to the rule of ethnically and sub-ethnically diverse (and largely Islamist) countryside that is too heterogeneous to be united. It correlates with the tendency to see the stand-off between the government and insurgents as merely medieval war waged by local warlords, criminals and terrorists against the legitimate central government (albeit backed by foreigners and dominated by foreign ideology), without taking account of ideas and aspirations of the warring parties, and of the history of propagation of and resistance to reforms (such as claiming that the Taleban’s “attitude toward the state and reforms are not the continuation of some ‘tradition’, but the result of their own uprooting”). And finally, there is a myth which holds that Afghanistan is ”not a natural state”, pointing to “very special” culture and social institutions of Pashtuns as politically dominant faction and their (deemed) irreconcilable differences with other ethnic groups and tribes. Moreover, some authors also marry this notion of Pashtun tribalism with the legacy of historically more recent “Afghan Jihad” to arrive at totally biased portrait picturing Pashtuns as hostile to anything different (if not alien) from their own. Common to these myths is that they oversimplify the historic processes and the present-day situation, focus only on one arbitrarily selected element while ignoring the rest, and above all, deny the Afghans (comprised as they are of diverse and distinct ethnic and sub-ethnic groups) their history of coexistence, political traditions and institutions. Taken together they lead to yet another misconception, this one with practical implications—the false assumption of the possibility to control the end state of the Afghan war. This “control of the outcome” myth, first, implies that there is a military solution to the conflict and thus feeds into the dominant doctrine seeing the end-state in coercion. And second, this myth impedes the possibility of finding a workable solution to assist the country in establishing peace and state-building as it suggests that a state model can be imported to Afghanistan and sustained through pouring abundant money and technical advice into its structures. Thus far it has not worked well as we can see, if not served contrary to the purpose claimed. Fifteen years after the intervention, Afghanistan is still in the process of seeking a political settlement to state-building and an administrative structure and mechanisms that would be compatible with its political culture and institutions—and thus viable. I will briefly outline the concepts in play with regards to (a) general approach to state-building, (b) vertical distribution of power within public administration, and (c) options proposed as alternatives to the present constitutional set-up in Afghanistan. 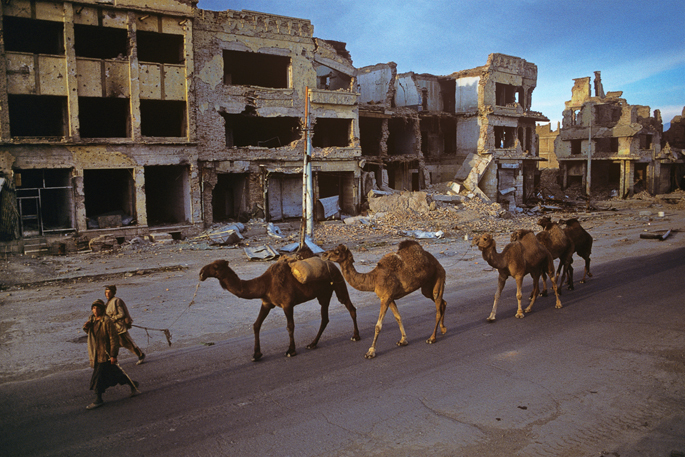 Of broadly defined two available (or practiced in post-conflict state-building) alternatives the international community decided to pursue the path of (partial) deconstruction of existing state apparatus in Afghanistan and then building a new one, instead of taking the approach of co-opting “all social forces and power centres into state-building within the existing institutions and trying to redirect their competition for power and [resources] from violent to peaceful channels.” In so doing (given the nature and the initial justification for the military occupation and overthrowing of the government and political factions behind it) the intervening authorities (US and allies) have effectively excluded the Taleban and some other influential actors from the process (starting from the Bonn conference of 2001 and the creation of interim administration), and thus setting the entire endeavour in a direction of zero-sum game and coercion. After the departure of Hamid Karzai from the helm of the state (but not from the politics) in 2014, Afghanistan has had even more troubling period following the contested elections and months of tortuous negotiations which resulted in the creation of a Government of National Unity (GUN) between two (tempted to say “former”, but they effectively still are) rivals, President Ashraf Ghani and the Chief Executive Officer Abdullah Abdullah. Among other contextual and institutional challenges, the problem with the Government effectively fulfilling its functions lies in the lack of its legitimacy and credibility with large segments of (predominantly rural) population. Limited political representativeness of the central government, due to exclusion of other key players from decision making, will remain the major barrier to stabilisation and development in Afghanistan. Strong central government in Kabul, as initially supported by the international community, may have seemed as easy-to-go option and also appealed to personal and group aspirations of certain political actors holding power, but it very quickly proved as a nonworking model. In order to enable the government reach down to the villages and across the country while keeping intact the territorial integrity of the state within the constitutional provisions, decentralisation was promoted and introduced as a concept since 2007. The implementation of sub-national governance reform, even accepted as critically important, has proven problematic for many reasons, including such systemic and institutional challenges as corruption, dominance of politics over bureaucracy, unclear distribution of functions, lack of real delegation of power, and competing interests and overlapping mandates of various bodies in charge. Key legislation is either pending (lost in the procedures for years) or not implemented. The system itself is quite complex owing, in part, to the difference in conceptual approaches of donors (such as United Nations, World Bank, and USAID) and different government bodies in charge at all levels, from central ministries through provinces, to districts and municipalities (under the overall responsibility of Independent Directorate of Local Governance, IDLG). Add to this a parallel system of sub-national development councils (operating at village and district level through community, district and cluster networks—all managed by the Ministry of Rural Rehabilitation and Development, MRRD) with own governance ambition—and you have a complex structure which is difficult to map on a piece of paper, let alone to manage. [*I have witnessed and went through all this confusion when assisting the MRRD in their work with District Development Assemblies, back in 2011]. Devolution of power is imperative in Afghanistan—this seems to be appreciated by both foreign and domestic actors involved in state-building. But this is where the views are divided. Some observers and practitioners advocate and keep turning into reality the administrative decentralisation efforts (whatever cumbersome). Others are sceptical about the success of this endeavour and have come up with scenarios which go beyond the present structure set by Afghanistan’s Constitution. The discussion, and even very light critique of those proposed constructs and their justification is a topic in its own right, therefore I will only touch upon it here. Roughly, there are two groups of options proposed over time that demand the amendment or even the adoption of new constitution. One group comprises various scenarios of organising Afghanistan as a federal state. This effectively takes one (albeit significant) step further to the current administrative organisation of Afghanistan with thirty-four provinces, with much more power and authority and resources devolved to the federal units. The number and administrative borders may vary but in essence this is an approach to which the Afghan state is not prepared yet, as the vacillations over the implementation of sub-national governance reform have shown. Another group of option can be subsumed under partition banner, whether suggesting a confederational set-up or the creation of new sovereign states. This is not a new idea either. Back in the 1960s, there was a proposition to set a confederation comprising three entities—Afghan, Pakistani, and Iranian. Today, the proponents of this idea offer a number of other scenarios (dividing the country along ethnic lines), such as a two-entity confederation of South (Pashtun) and North (Uzbek-Tajik) or three entities, with Hazara state added to the two. These ideas mostly are deriving from the narratives discussed in the beginning of this paper, especially the one justifying the creation of a separate Pashtun state. Indeed, Pashtuns today are estimated at about 45 million, as per mid-2016 estimates: they comprise 15.42 percent of Pakistan’s population (approx 31.2 million) and 42 percent of Afghanistan’s population (approx 14 million). The idea of independent Pashtunistan has been entertained by various local political actors since 1947 (with or without relation to the disputed but still respected by both countries Durand Line); this always made the Pakistani authorities feel uneasy, with periods of escalated tensions, such as in the 1960s-70s.